This is one of my family’s favorite character meals. We have eaten here four times and each time is consistently delicious! The Cape May Cafe is made to look like a beach-style restaurant and they certainly pull it off! 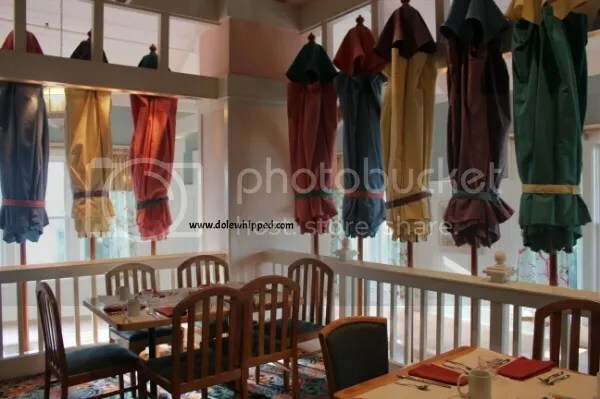 My favorite decorative element are the umbrellas along the side of the restaurant, it really ties the theming together. 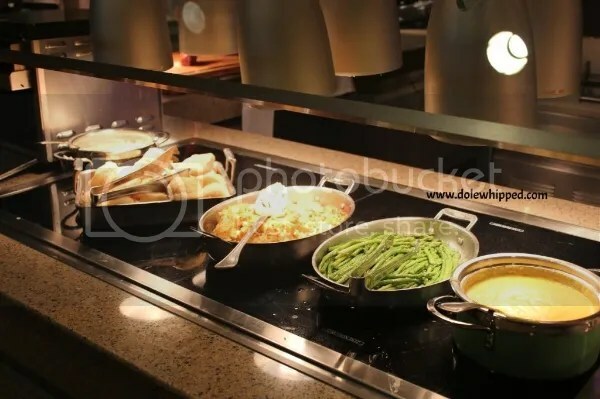 All of the food is available through a central buffet. There are two identical sides of hot offerings so the line moves through quickly. This is one of my favorite gluten-free breakfasts. 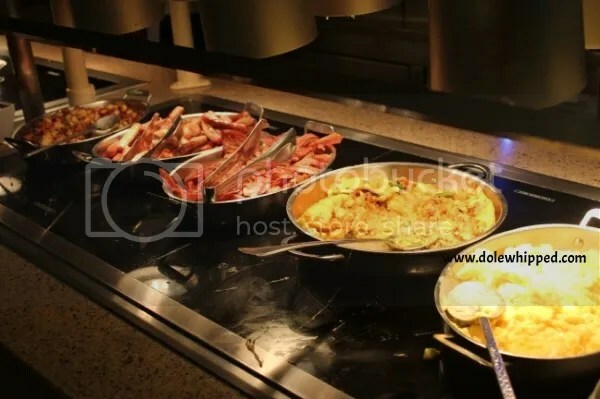 There is so much on the buffet that is gluten-free: meats, cheeses, eggs, frittatas, fruit and vegetables, and my favorite: cheddar grits!! The chef will also bring you gluten-free Mickey waffles and a gluten-free doughnut. This is different than the other doughnuts served on property and it’s worth the trip. Minnie, Goofy, and Donald are the usual hosts here and they are all in the beach gear ready for a day in the sun and sand! We have always enjoyed the interaction here and the characters will often come around twice. This meal is at the Beach Club and is the most out of the way character meal. If you have a car you will be able to drive over and park at the Beach Club. We have also taken a taxi directly there from our hotel, it costs between $10-$15 from most WDW resorts. 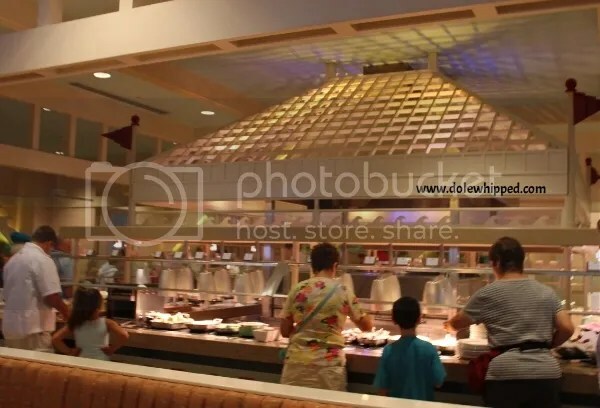 Schedule a 11:00 breakfast and go to Epcot from park opening until 10:45. At that time exit from the International Gateway in World Showcase and walk to the Beach Club from there. It’s a 5-10 minute walk. Take a bus to Hollywood Studios and either walk (about 20-25 minutes) or take a Friendship Boat from there to the Beach Club. The boat will take about 20-25 minutes as well so you would need to allow for some extra time. 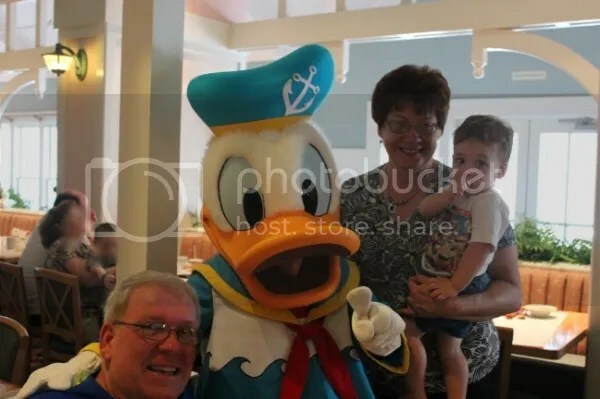 I go out of my way to go to this character breakfast for the high quality food and the genuine experiences the characters give my son. It’s far more laid back than the loud and hectic Chef Mickey’s. 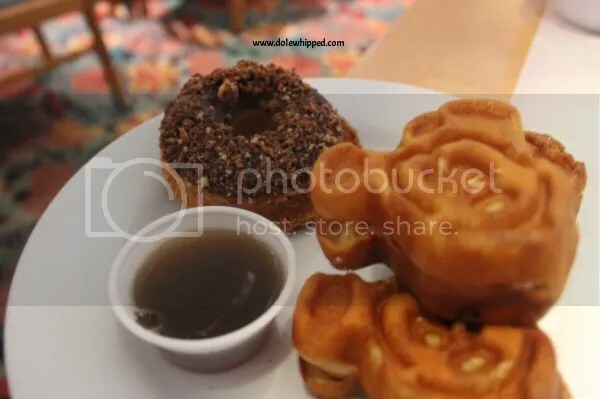 This entry was posted in Disney Dining, Disney World and tagged cape may cafe, character breakfast, donald, gluten-free, goofy, minnie by Dana. Bookmark the permalink. Looks like such a wonderful time! The beach club is on our list! The Beach Club is one of my favorite places! I haven’t made it to the Beach Club yet! It’s one of the most laid-back spots in all of Disney World, Heather. 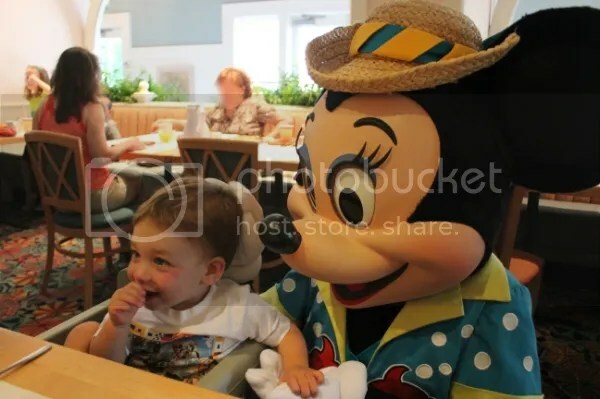 I’ve never been to a character breakfast but I’m thinking we need to schedule one for our next trip! 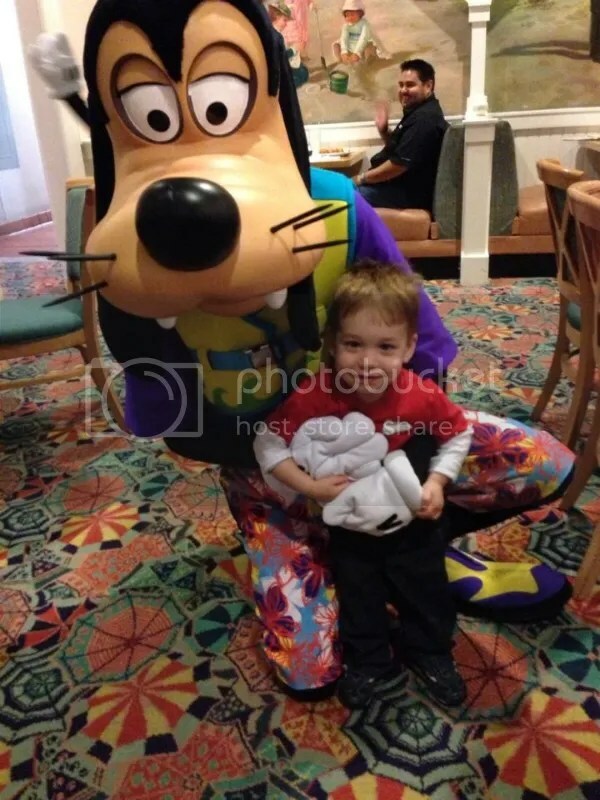 Caitlin, character meals are one of my favorite parts of going to WDW! Cristy, It was a lot of fun!